The radiant cutting style helps intensify a fancy colored diamond’s color. 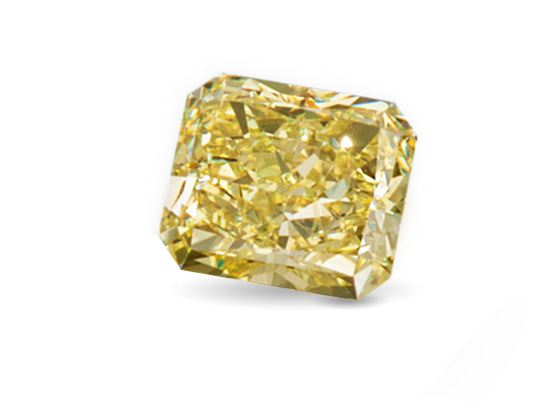 Diamonds with more yellow than GIA’s Z grade are considered fancy color. 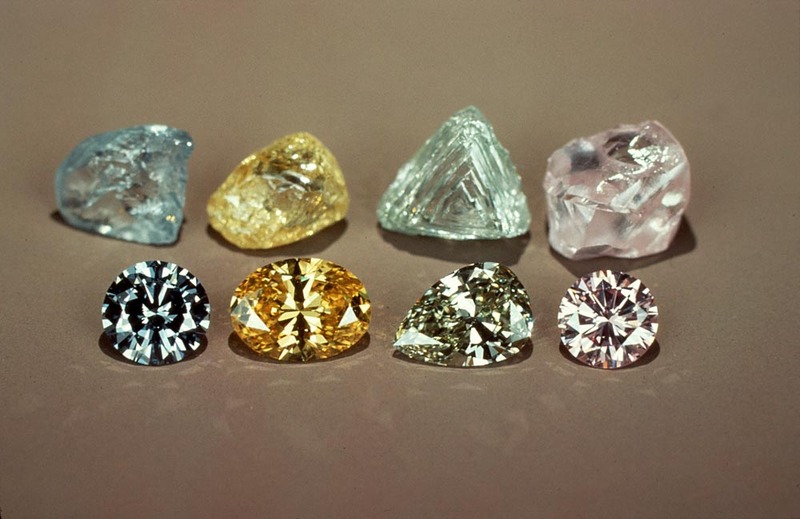 Subtle color differences impact the value of a fancy colored diamond. Beautifully formed octahedrons might become collectors' treasures. Diamond crystal faces show cutters how to get the best weight retention. The color in rough diamond might not be evenly distributed in the rough. Gem diamonds in GIA’s D-to-Z range usually decrease in value as the color becomes more obvious. Just the opposite happens with fancy color diamonds: Their value generally increases with the strength and purity of the color. Large, vivid fancy color diamonds are extremely rare and very valuable. 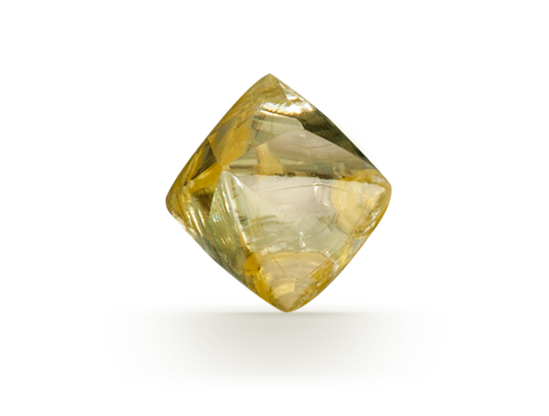 However, many fancy diamond colors are muted rather than pure and strong. Diamond is the birthstone for April and the gem of the 10th and 60th anniversaries. Fancy color diamond adds a unique twist to your celebration. Only one in 10,000 diamonds has a fancy color. The 45.52-carat Fancy Deep grayish blue Hope Diamond is the world’s most famous gem. Fancy color diamonds are the rarest of the rare. Each is one of a kind. Red diamonds are so rare that only a handful are known to exist. Less than one boron atom per million of carbon atoms can give a diamond a blue color. Strength and purity of color influence a fancy color diamond’s value. The most valuable hues are pink, blue, and green. Slight color differences can impact value. Even diamonds with a low clarity grade are prized by connoisseurs if their color is attractive. Fancy shapes like radiant cuts are commonly used to maximize the intensity of the color. 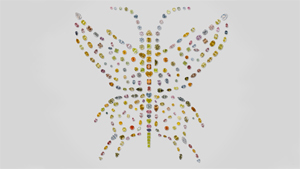 In pink, blue, green and orange, even fancy color diamonds below a carat are rare and valuable.